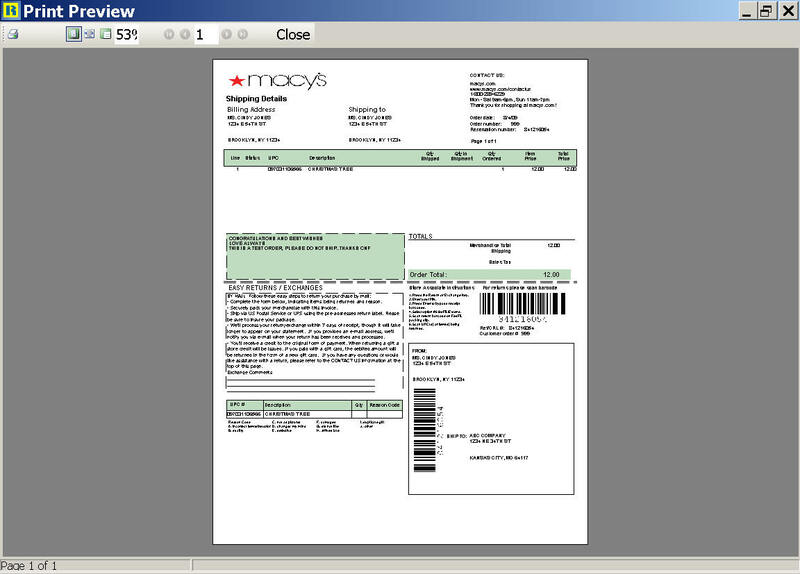 The Macy's.com Packing slip was designed to pull all data from EDI and create 1 of 22 reports with just a few steps. Very little, if any user data input is required. Several retailers will be requiring a similar packing slip in the future. RMS will add these as requested by our users. Feel free to call RMS to discuss any of your EDI retailers requiring this form of packing slip.